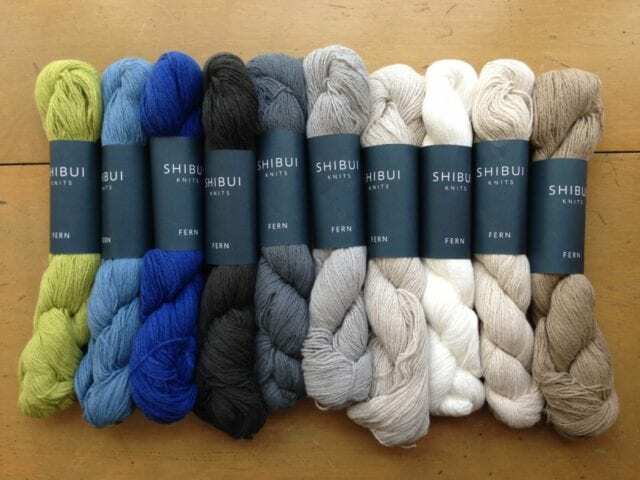 Shibui’s newest yarn is here! Meet Fern. 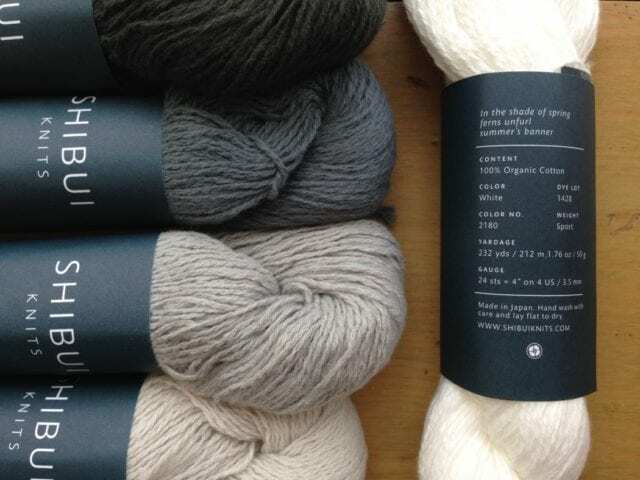 Fern is a sport weight organic cotton, with 232 yards on each 50 gram skein. 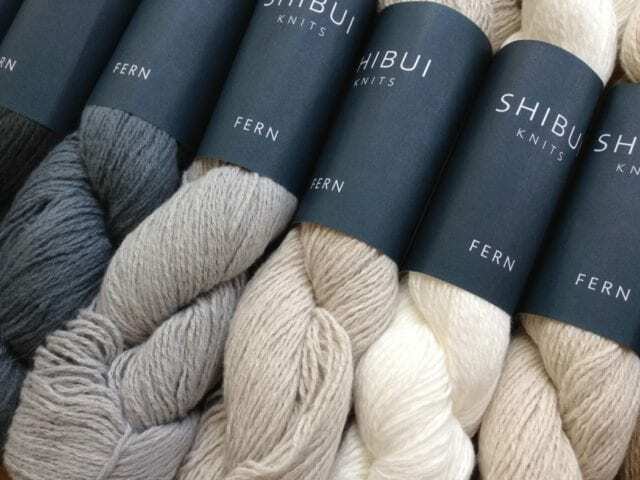 Unlike Rain, Shibui’s DK weight cotton, Fern is matte rather than lustrous, and brushed for extra softness. 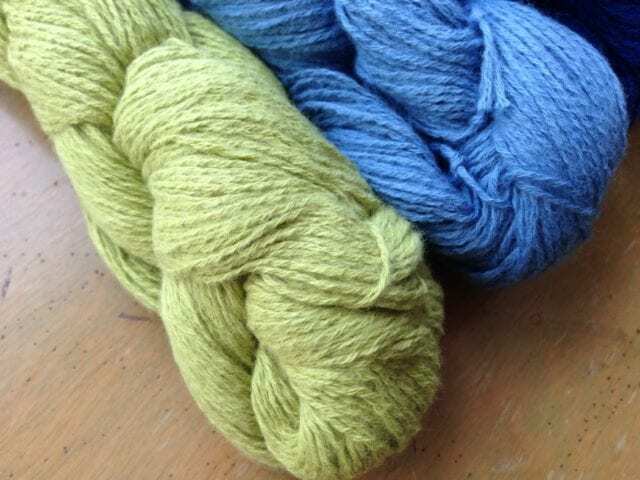 Like all Shibui yarns, Fern is designed to be used on its own or mixed with other yarns for intriguing fiber and color blends. 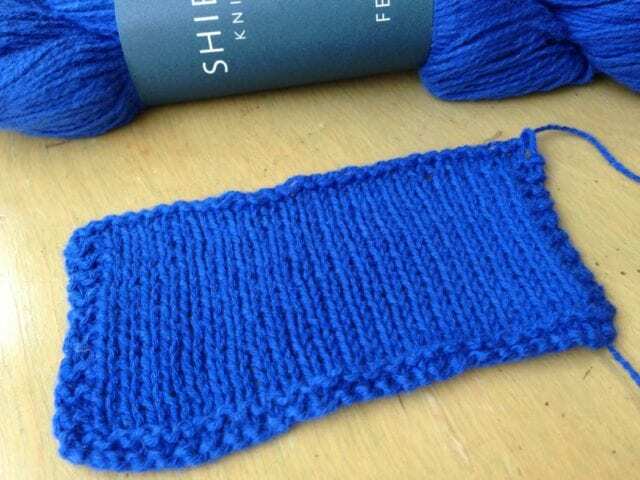 By itself on a US 4, the suggested gauge is 24 stitches over 4 inches; we knit up a little swatch to give a sense of it. Fern appears in several patterns from the new Shibui Spring/Summer 2018 collection, including “Oasis,” a bias knit scarf with thin stripes and a bit of texture. This pattern is free when you purchase the yarn here at our shop. Other patterns from the new collection are sold singly; look for them in a binder near a basket of Fern. Look for Fern in our Sport weight section here at the shop, alongside Shibui Twig. See you there!